Seng Clan was amongst the many clans that gatherd at the Auditorium of the Singapore Federation of Chinese Clan Assocaitions and Business China on Tuesday, 12 Feb 2013 to celebrate the Lunar New Year. Firstly, moving forward, the Federation will work towards uniting all Associations and recruiting more Chinese cultural groups as members and expand the reach to the wider Chinese community. Secondly, the Federation will strive towards strengthening research in Chinese culture; establish a unique local Chinese culture with he aim to carry forward our cultural heritage. In addition, we also hope to expand our talent pool and assist all Clan Associations to stay relevant by means of administrative reforms." 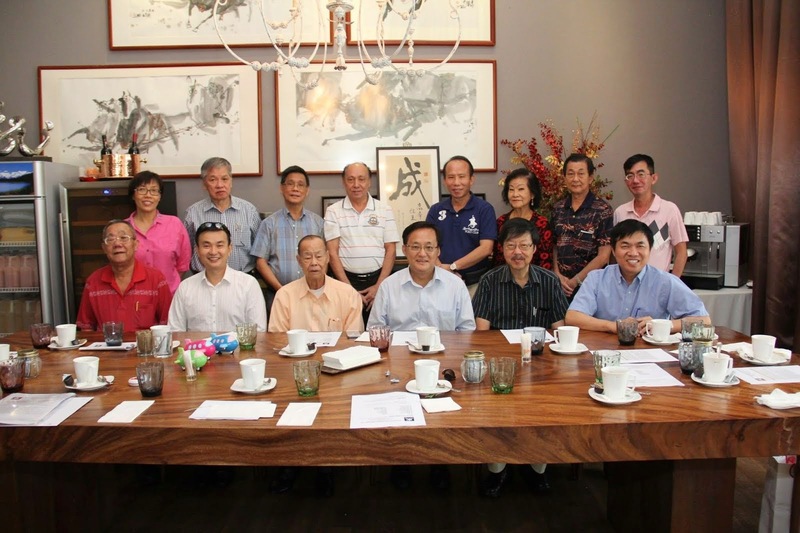 Seng Clan was represented by President Mr Seng Kok How and Adviser Mr Seng Joo How at the function. The event ended with exchange of greetings and a buffet reception.